The scientific method is used by scientists to answer questions and solve problems that intrigue them. There are a number of versions of the scientific method but all of them focus on making observations, asking questions and trying to find the answers to them through experiments. 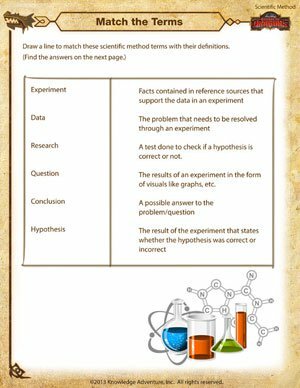 Use this interesting scientific method worksheet to help you along the way. Also browse through these printable scientific method activities for kids of all grades on School of Dragons!